Wandsworth LBC, champion of the government's competition culture, has been invited to bid for a contract to look after Lambeth LBC's buildings. Wandsworth's in-house design services team has been invited to bid alongside private firms for the work, which is being exposed to competition under white-collar CCT. But the Conservative-dominated borough has yet to decide whether to bid for the contract, which would give it control of the maintenance of Lambeth's town hall. 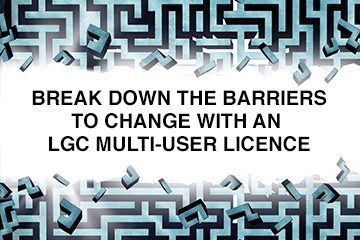 The move has been prompted by the relaxation of the DoE's view on cross-boundary tendering, which appears to have cleared the way for councils to provide major services for their neighbours (LGC, 15 December).